Nigel and Stella warmly welcome you to Galvelbeg House, a high quality family run guesthouse offering Bed and Breakfast or self-catering accommodation in Crieff, Scotland. It is situated on the east side of Crieff on the main Perth Road. The house enjoys uninterrupted views of the Ochil Hills and Strathearn Valley. The town centre is only a few minutes’ walk away and has an interesting selection of shops, cafes, pubs and restaurants. Just steps from the famous “bridge over the Atlantic”, on the beautiful island of Seil, near Oban, Argyll. We welcome well behaved dogs and their owners! The Croft is a dog friendly, family friendly and environmentally friendly bed and breakfast, situated just off the A7 on the outskirts of Selkirk. 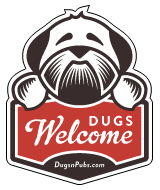 There are a total of 15 dog friendly listings in the Guest Houses category. Please log in, or sign up as a member to view all listings.